Nothing says old world sophistication and charm quite like a horse-drawn wedding carriage. 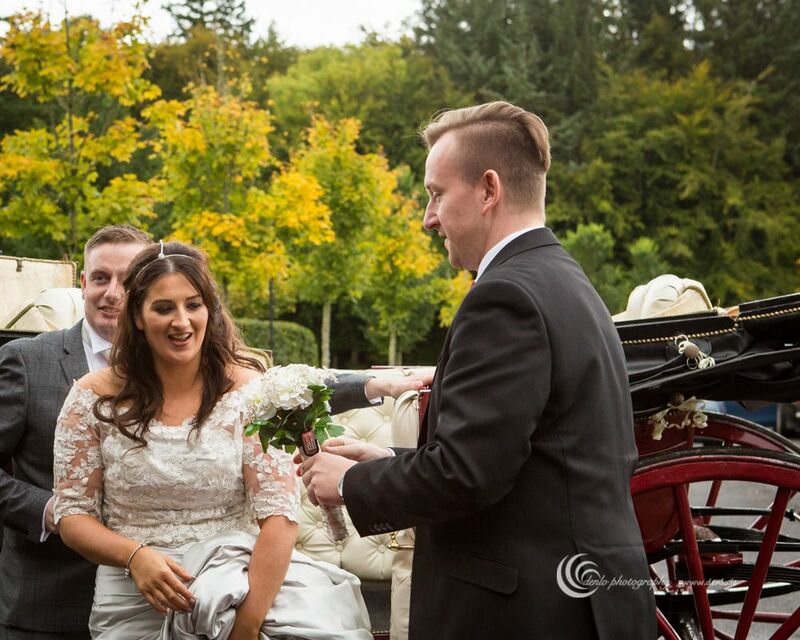 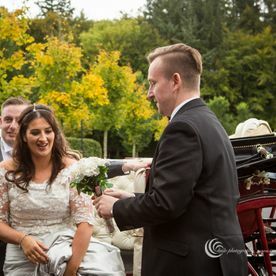 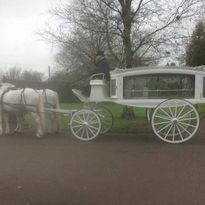 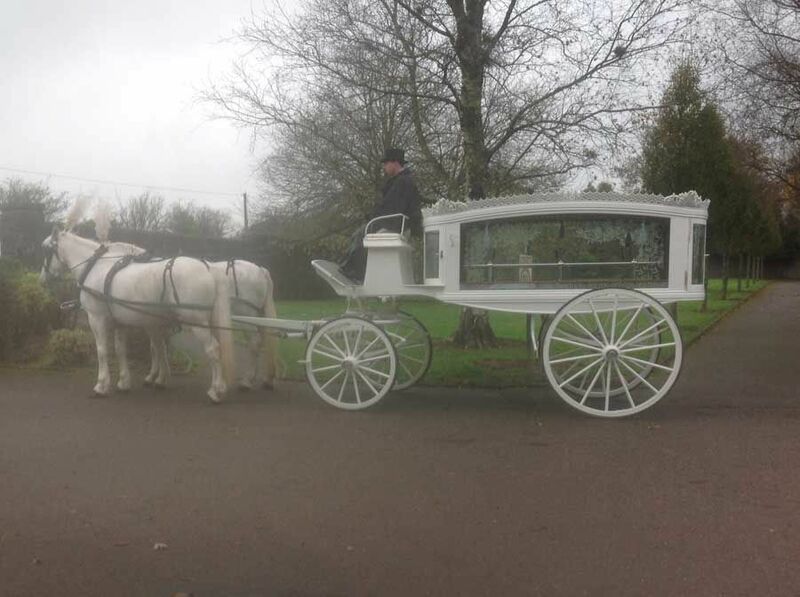 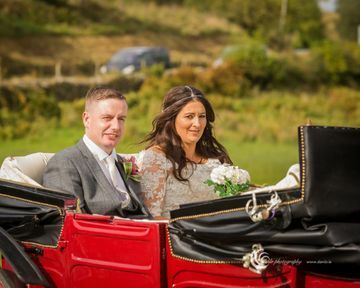 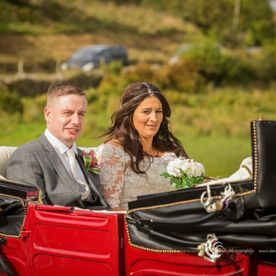 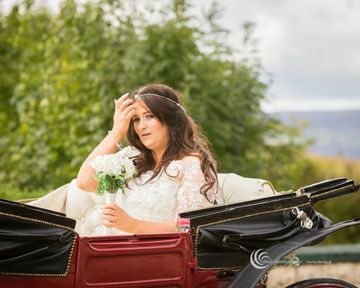 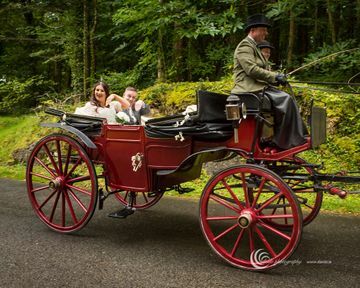 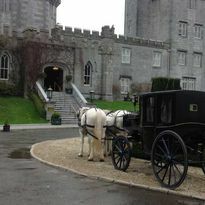 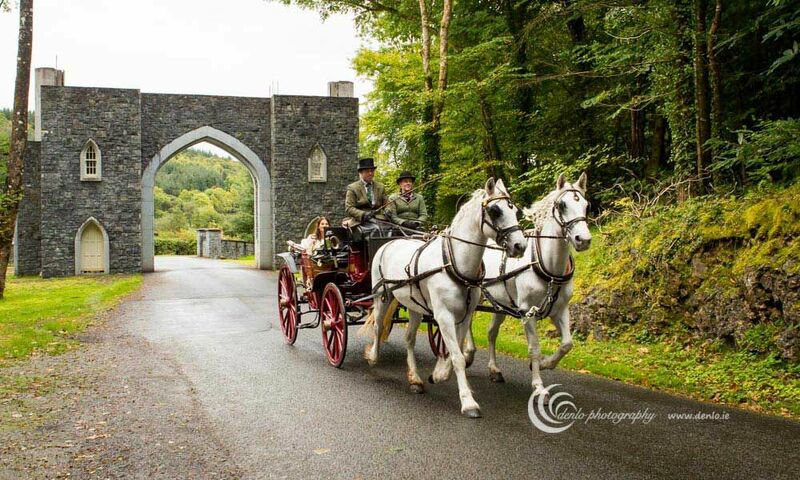 Sean Kilkenny Carriages has the finest selection of carriages in Ireland. 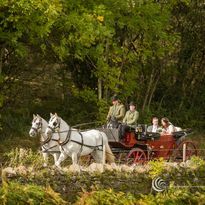 We invite budding grooms and blushing brides-to-be to our new showroom where they can see our beautifully maintained carriages. 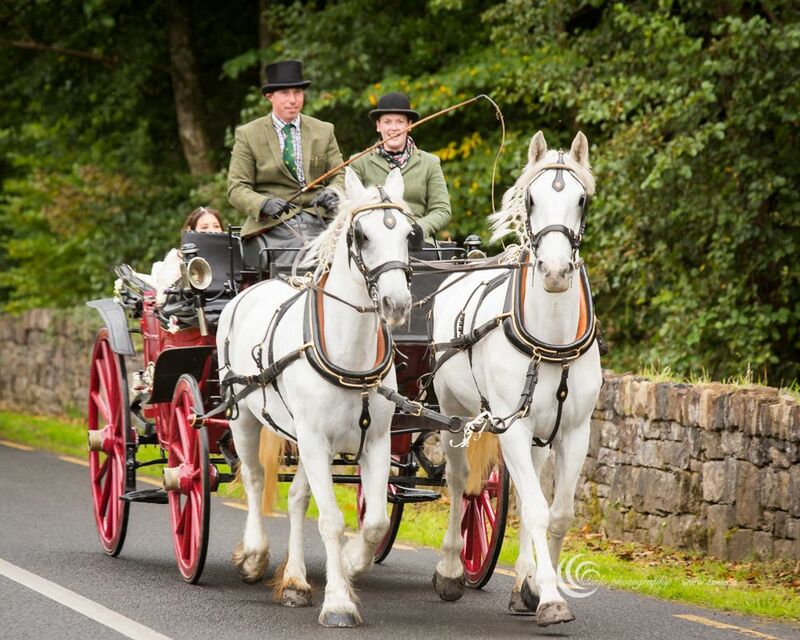 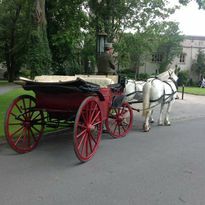 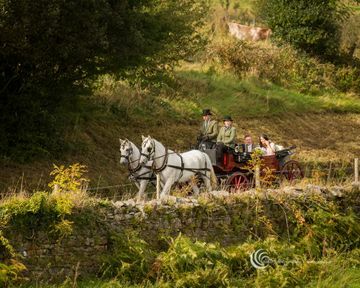 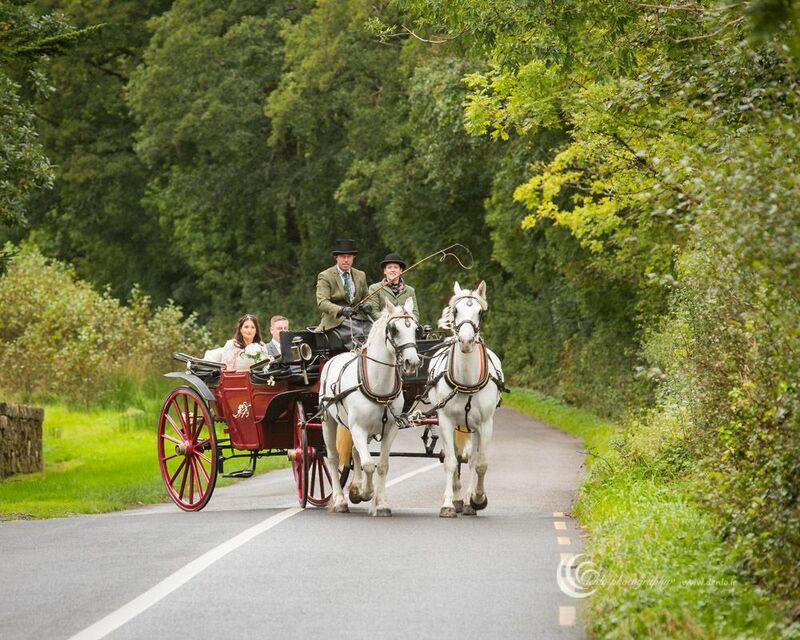 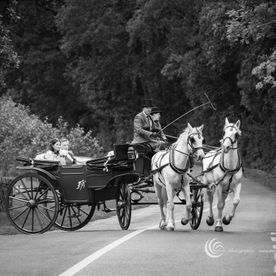 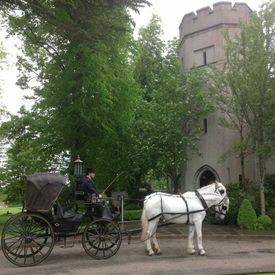 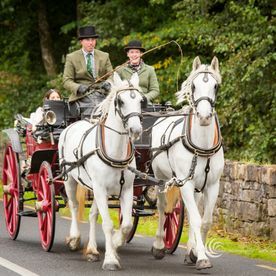 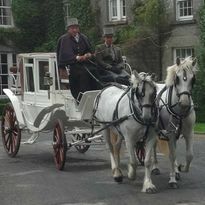 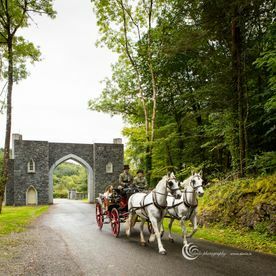 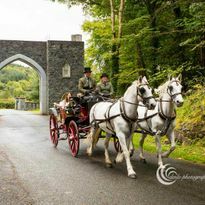 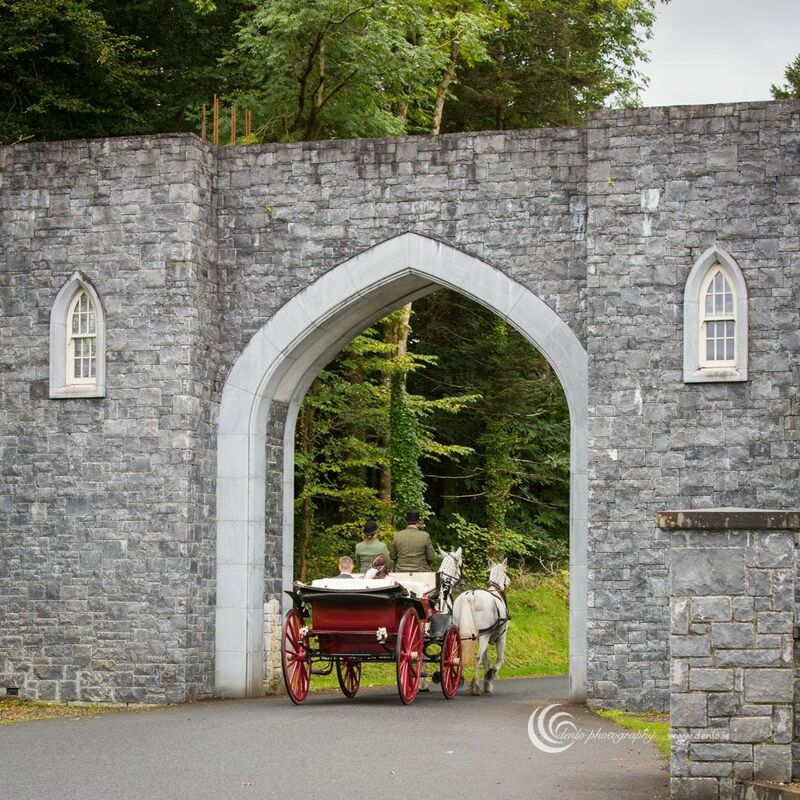 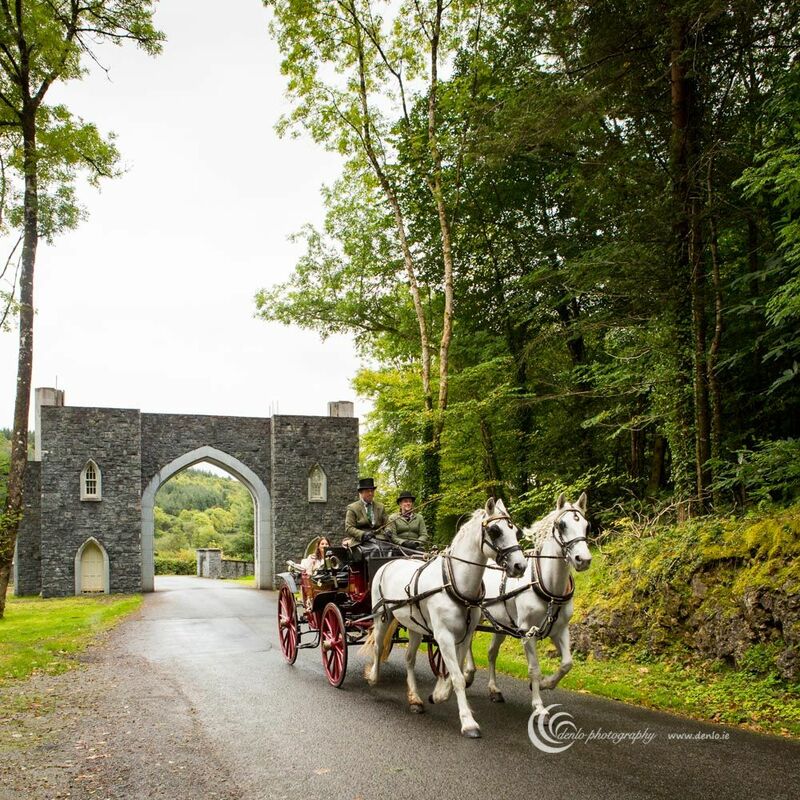 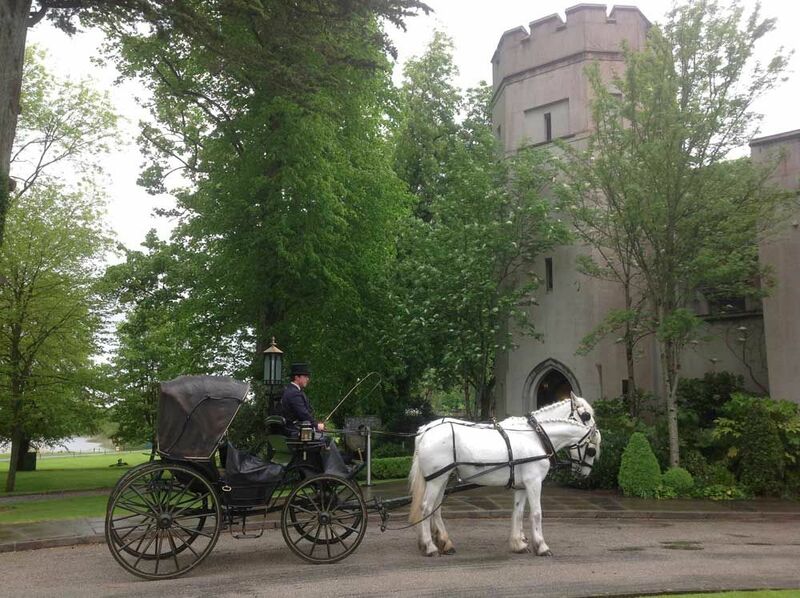 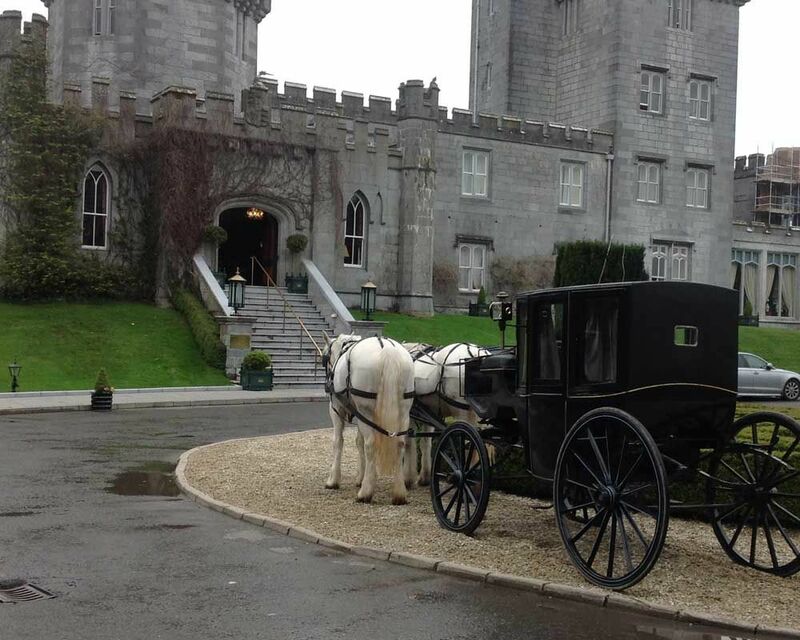 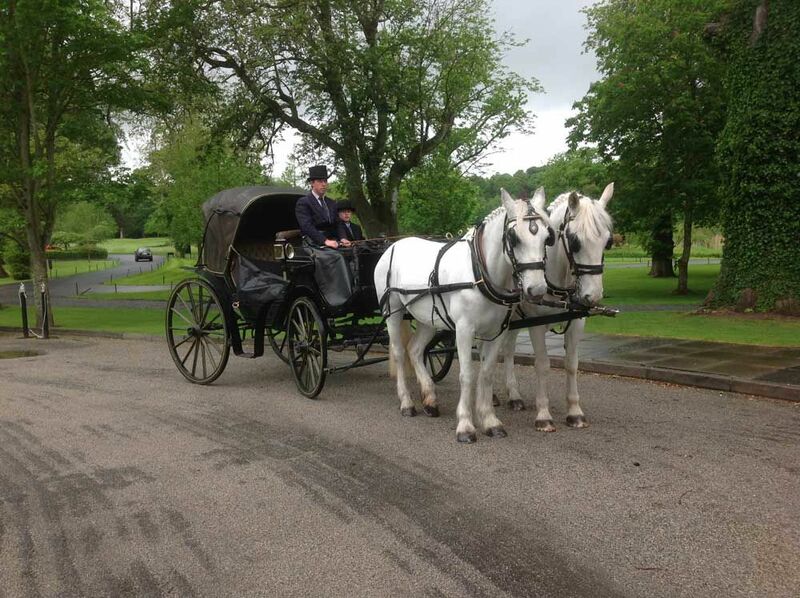 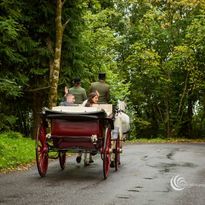 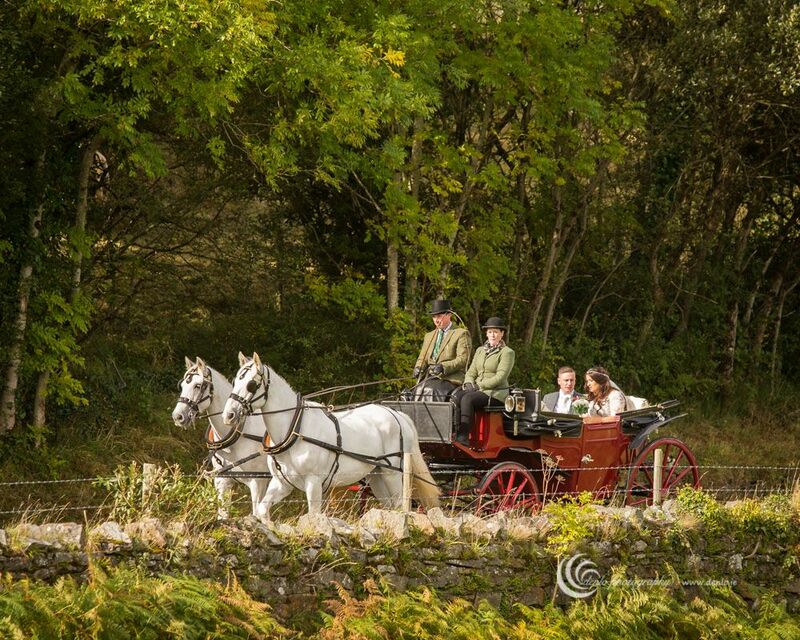 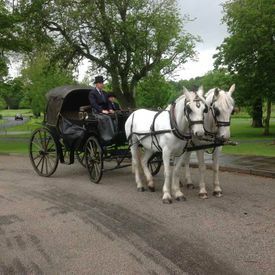 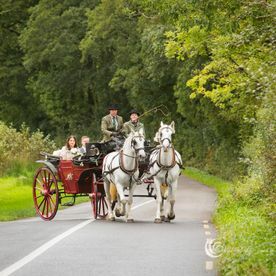 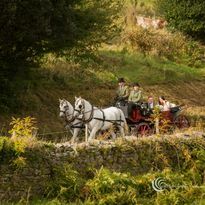 Sean Kilkenny Carriages has access to one of the only two available stagecoaches in all of Ireland. 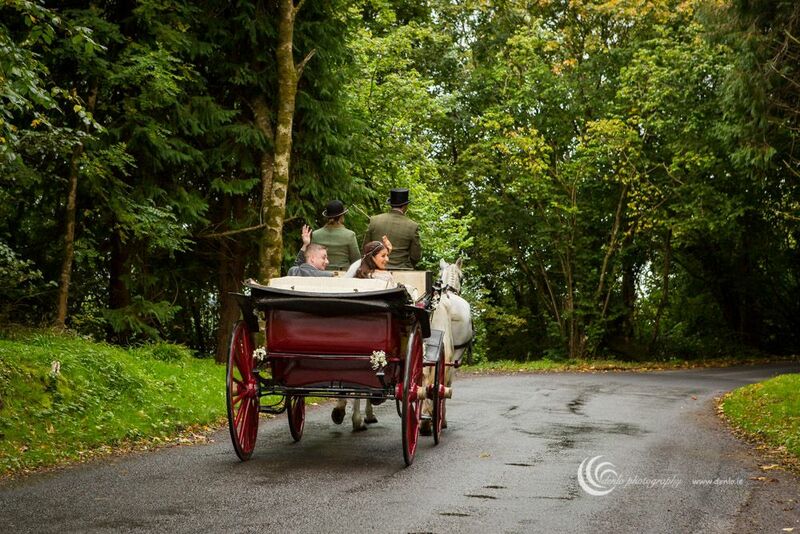 Give your wedding a unique twist by arriving in one of our horse-drawn carriages. 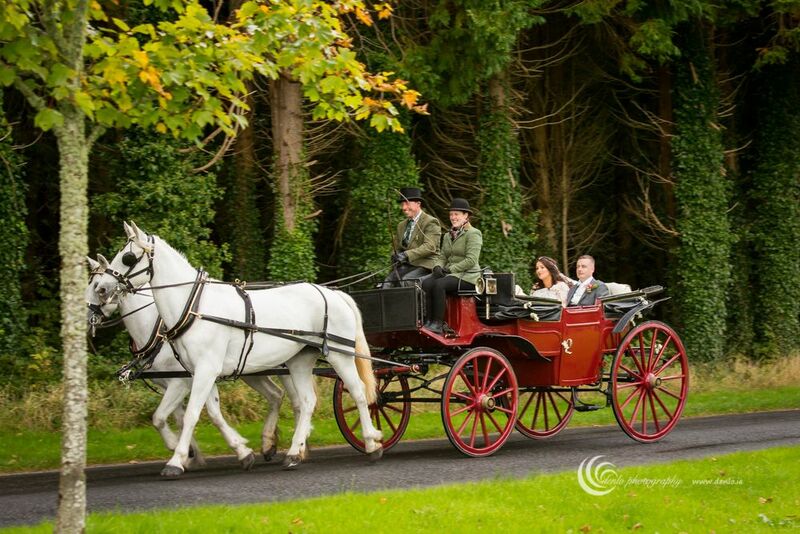 We have a collection of beautiful carriages that we invite clients to view at our newly built showroom. 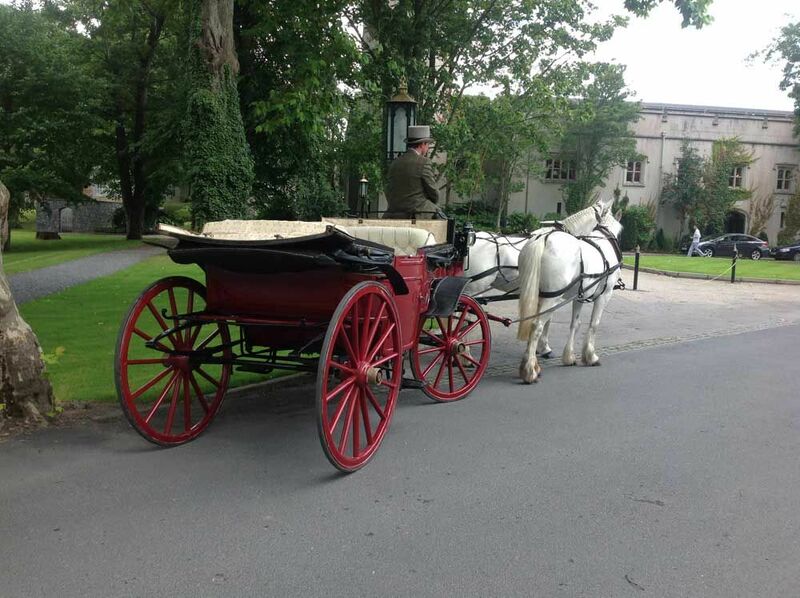 Choose between Victoria and Alanda or even our Princess themed carriage. 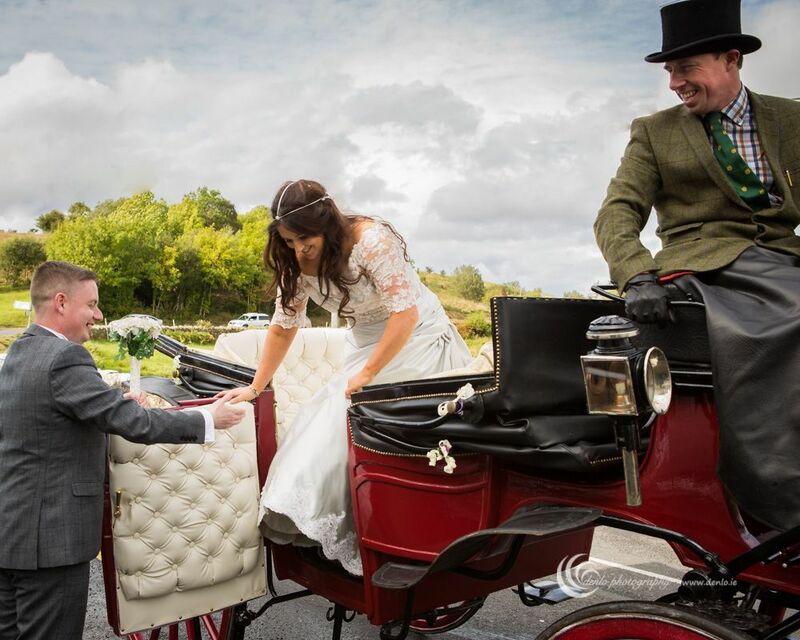 Our carriages are built of the finest materials and can be decorated with ribbons and fabrics to match the colour scheme of your wedding. Our stable of 8 horses can be used to increase the overall impact of your wedding day. 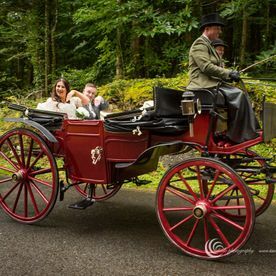 Are you having an all-white wedding? 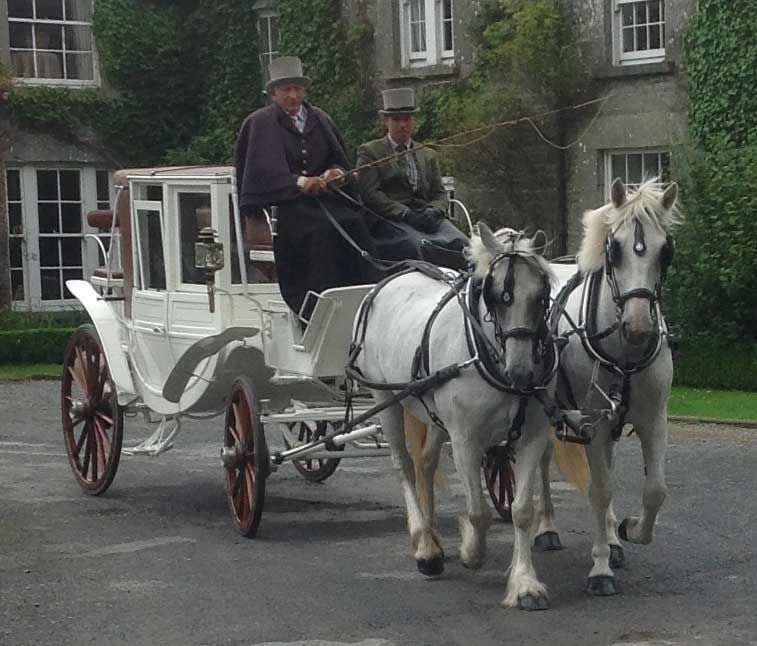 The beautiful white coats of two of our friendly horses are sure to add a touch of class to your big day. 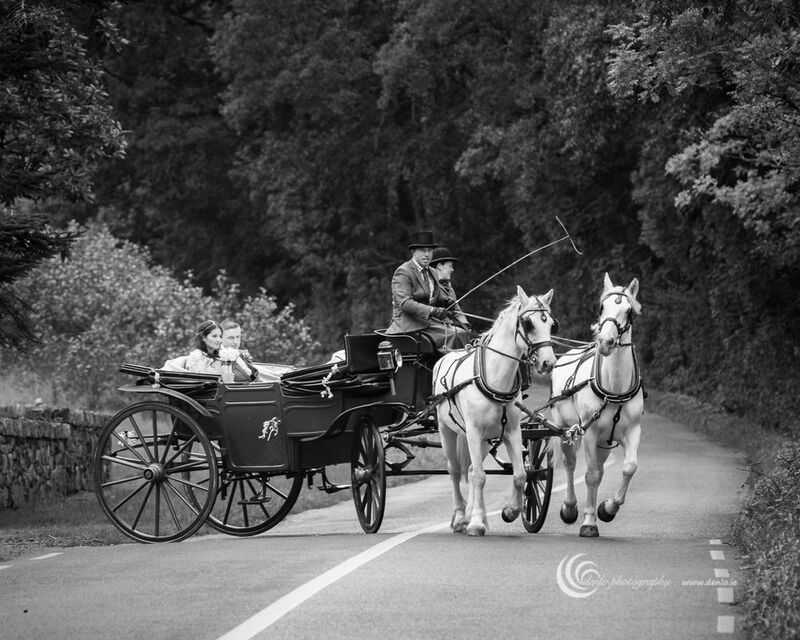 No horse-drawn carriage would be complete without properly dressed coachmen. 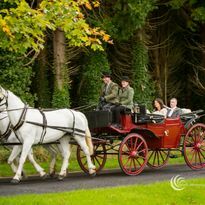 All our coachmen arrive in full traditional coachmen dress; which adds a further layer of elegance and authenticity to your special day.